Demand for the Pound (GBP) briefly surged on Thursday following the latest Brexit developments, but the Euro to Pound Sterling (EUR/GBP) exchange rate recovered slightly on Friday as Sterling remained generally unappealing. Since opening the week at the level of 0.8900, EUR/GBP has fluctuated, briefly climbing to a November high of 0.8920 before plunging around half a pence. At the time of writing on Friday, EUR/GBP is trending near 0.8875. Investors sold the Pound from its best weekly levels on Friday morning as UK politicians suggested the agreed UK-EU Brexit deal would fail to find enough support in UK Parliament. However, the Euro (EUR) was unable to capitalise on Sterling weakness as the latest Eurozone PMI projections fell short of forecasts and indicated that the Eurozone’s growth outlook was still slowing more than expected. For much of the week, demand for the Euro has been mixed as investors reacted to developments between Italy and the EU regarding Italy’s controversial budget plans. 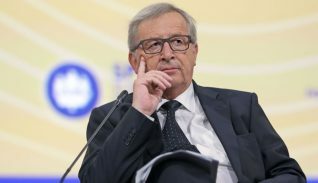 While the EU once again rejected Italy’s budget, the nations have expressed a desire to reach an agreement in order to avoid disciplinary measures being taken. With Italy-EU developments now likely to continue simmering in the background, Euro investors turned their attentions towards major Eurozone data – which has continued to point towards a slowdown in economic activity. Germany’s Q3 Gross Domestic Product (GDP) growth rate was confirmed at -0.2% quarter-on-quarter as projected, and Germany’s November PMI projections from Markit fell short of analyst expectations. In fact, the Eurozone’s overall PMI projections all fell short, the manufacturing PMI slipping from 52 to a low and disappointing 51.5. These stats made investors hesitant to buy the Euro and limited the Euro to Pound (EUR/GBP) exchange rate’s recovery. UK Prime Minister Theresa May’s Brexit plan continues to face criticism from all kinds of UK politicians, including notable MPs within her own Conservative Party. 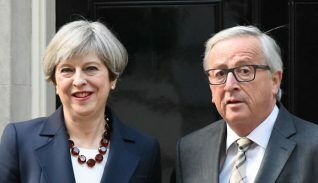 While Sterling jumped on Thursday in reaction to news that the UK and EU had made a political declaration outlining the intended future relationship between them, criticism of the deal within the UK has kept investors concerned that the deal could still collapse. Raab, a ‘hard Brexit’ supporter, also claimed that the deal May had negotiated would be worse than simply staying in the EU. Next week will be another quiet one for UK data, but with the UK and EU set to formally finalise the UK-EU Brexit deal at a summit on Sunday, market focus will return to the Brexit plan’s domestic support. If there are no signs that there will be enough supportive UK MPs to help the Brexit plan pass through Parliament, investors will remain concerned that the bill could be blocked by Parliament. The bill is expected to go to Parliament vote in December, which is likely to leave the issue of domestic support in market focus in the coming weeks. Amid a lack of notable UK political developments, the Euro to Pound (EUR/GBP) exchange rate may be driven more by Eurozone data in the coming sessions. Germany’s business confidence stats from Ifo will come in on Monday, followed by GfK’s German consumer confidence data on Wednesday. The most influential Eurozone data will come in later in the week, including German and Eurozone inflation figures for November which have strong potential to influence the Euro to Pound (EUR/GBP) exchange rate.